Online reviews can be a great dental marketing tool if used right. But there are two sides to online reviews, both positive and negative, depending on what is written about your dental practice. And quite often the negative side is the only side dentists focus on. Even if you fear receiving a negative online review, it is still possible to turn online review sites into a dental marketing tool for your dental practice. Think about emailing each of your patients after their dental appointment to thank them for being a valued patient and ask them to rate their experience at your dental practice by offering links to online review sites where your dental practice is listed. 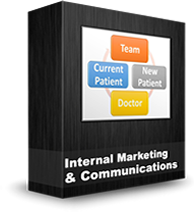 This gives you another dental marketing opportunity to reconnect with your patients and a way for them to easily post testimonials about you at online review sites. Online reviews of dentists are becoming more important as more patients use mobile phones and the Internet to find a dentist. Using online review sites as a marketing tool is just smart dental marketing. How do you use online review sites as a dental marketing tool?